This single piece of 1950s memorabilia inspired the entire look of this site. I found it while looking for 1950s aerospace and atomic images and was struck by the secretive and diverse type and layout this single cover had. 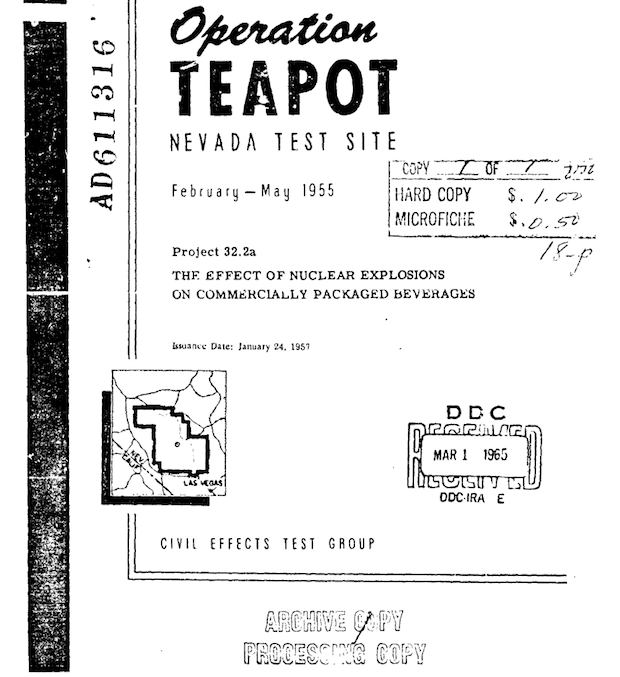 It was for Operation Teapot, a series of test that the government performed in 1955 to understand the implications of nuclear warfare and how our military would handle ground tactics. Very interesting time in our history.